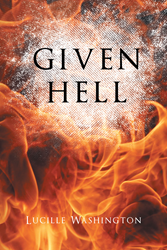 Recent release “Given Hell” from Page Publishing author Lucille Washington is both dark and enthralling; it tells seven cringe-worthy tales overflowing with dread and horror that incites fear among the readers. Lucille Washington, a dedicated writer of creepy stories with fermenting twists, has completed her new book “Given Hell”: a page-turning narrative that delves into the horrendous moments of carnage, fright, and death. Published by New York City-based Page Publishing, Lucille Washington’s agitating tale features seven of the most disturbing and stomach-churning tales that lets readers dive into the ultimate trip to hell and back. Readers who wish to experience this mesmerizing work can purchase “Given Hell” at bookstores everywhere, or online at the Apple iTunes store, Amazon, Kobo, Google Play, or Barnes and Noble.